If you want your wedding or event to look amazing Radient Productions has got everything you need to take care of your lighting needs. We pride ourselves with the customer service we provide and guarantee you’ll love working with us. Scroll down for more info on some of the types of lighting we offer. Need high quality speakers or wireless microphones for your wedding or event? We've got you covered. We have a huge selection of speakers and pro audio equipment available for all types of events. 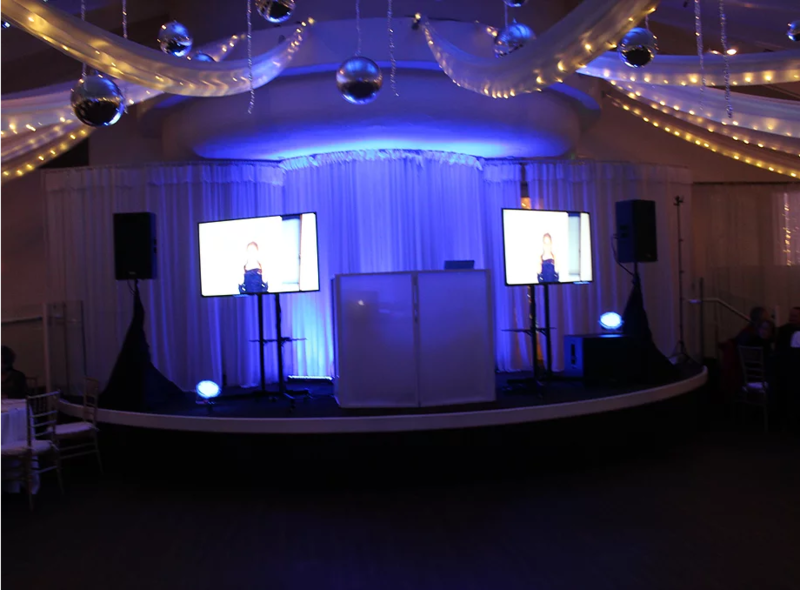 We have projectors and 55 inch TV's available for weddings and event rentals. They can be used for a variety of things including slideshows, logos and videos. We also carry projector screens in various sizes for any type of venue. 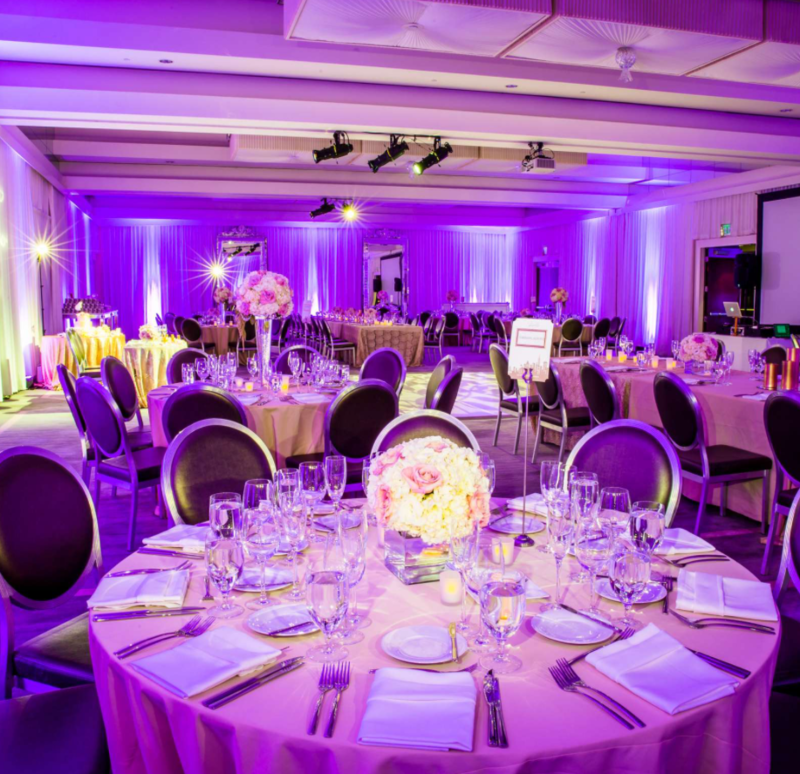 We offer the best selection of wedding and event lighting in Southern California. Get in touch with us today and we'll customize and build the lighting package of your dreams. You’ll be surprised by how convenient and easy it is to do business with us. 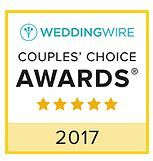 We are the trusted preferred vendor at many Los Angeles wedding venues including Calamigos Ranch in Malibu and The Vineyards in Simi Valley. 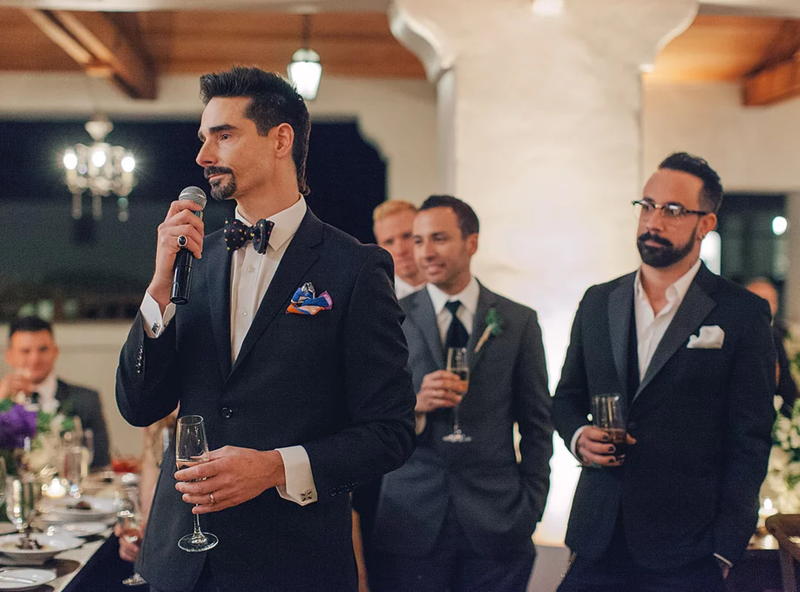 We produce amazing events in Los Angeles, Santa Barbara, San Diego and all surrounding areas in Southern California. Our most popular and most affordable type of wedding lighting available for rentals are LED uplights. They are small, energy efficient and extremely versatile. Not only can they light up walls and areas but they can also be used as dance lights as well. We can also adjust the lights to the EXACT shade of almost any color you want including amber and soft white. We offer several types of LED uplights for various types of areas and spaces including wired and wireless LEDs.Our LED Lights are available for weddings in Los Angeles, San Diego, and Santa Barbara. 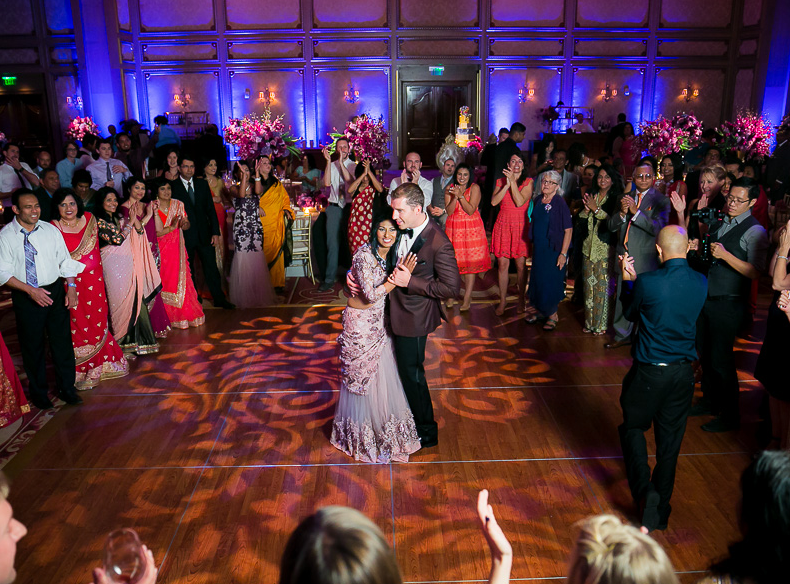 Pinspot lights are a very essential part of wedding lighting in Los Angeles. 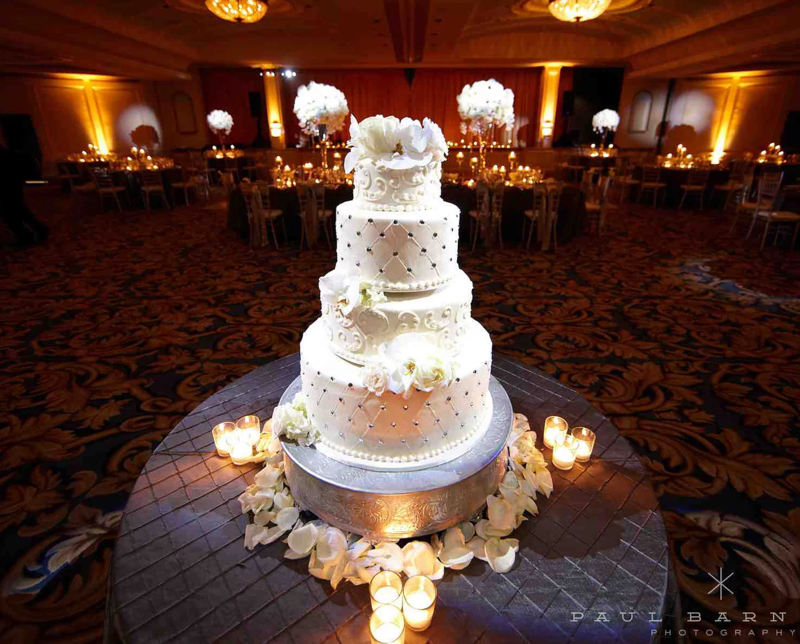 They are concentrated white beams that are used to light up centerpieces, cake tables and flowers. They give centerpieces that beautiful glow that really makes them shine and standout in wedding photos. Another very popular type of wedding lighting especially here in a warm city like Los Angeles are string lights. They are used typically in outdoor areas or wedding venues where no lighting exists. 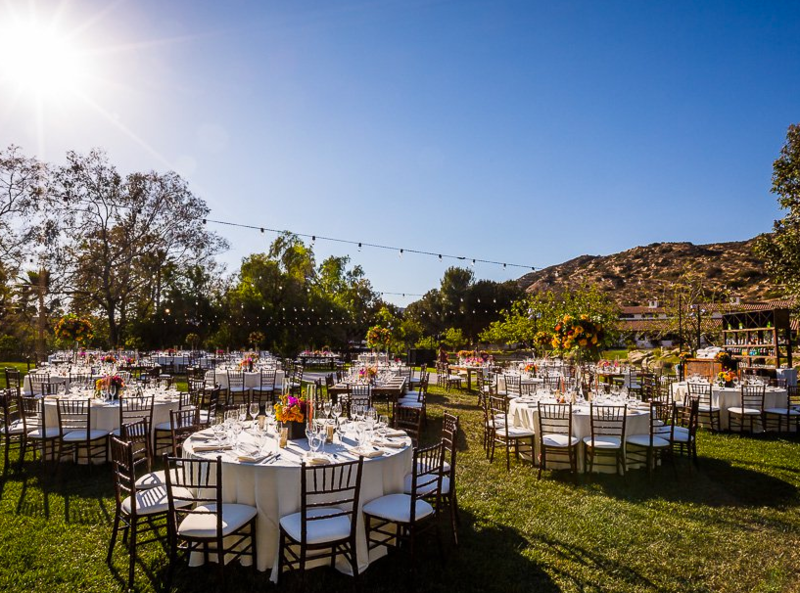 We have up to 1000 feet of string lighting available for weddings in Los Angeles, San Diego, and Santa Barbara. All of our string lights are all fully dimmable.